If you want to travel on your own, we can take care of the day to day details – Domestic and International air travel, car rentals, hotels, tours and dinner reservations. Anything you want to do in one specially constructed package – just for you. 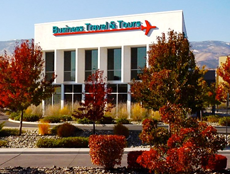 Business Travel & Tours has agents who specialize in making your vacation a truly memorable experience. Travel through Australia and New Zealand by train. Take the Ghan from Adelaide to Darwin or the Indian Pacific from Sydney to Perth. In New Zealand’s South Island experience the Tranz Alpine from Christchurch to Greymouth. See the North Island from Auckland to Wellington on the Northern Explorer. Or board the Orient Express in London and travel all the way to Istanbul. How about a VIP private sight- seeing tour of the Colosseum or maybe a private wine tasting in Italy? Perhaps you’re dreaming of exotic locations in Africa – Casablanca, the Kasbah, Cairo, Petra, Dubai, Timbuctoo, Capetown, Nairobi, or Victoria Falls. Private photo safaris can be arranged to give you maximum wildlife viewing while enjoying luxury accommodations at such well-known names as Mountain Gorillas View Lodge and Treetops Hotel. Visit Munich during Oktoberfest, Edinburgh for the Tattoo, Ireland’s Yeats Festival. Cruise the Rhine and shop the Christmas Markets. Thinking about Chinese New Year in Hong Kong, lying on a beach in Bali, golfing the great courses of the world, snorkeling the Great Barrier Reef? Our agents are able to customize vacations within the U.S. as well as other parts of the world. Plan in advance to view the Fall Foliage in New England. Hotel reservations, car rental, flights are all pre-reserved. You plan the route, we find the perfect accompaniments! We can also help you plan the route with a view, seeing special sights and attractions. Want to spend Thanksgiving in New York City? Be there for the Macy’s Parade, shop along 5th Avenue, take in a Broadway show – No problem! Are you a train buff? Take the Trans Canada journey, or travel the length and breadth of the United States. Thinking about going to the Rose Bowl or Parade? What about the next Super Bowl? Our agents can make it happen! 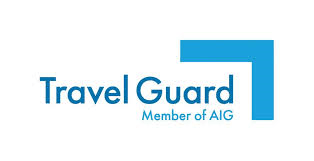 Call us at (775) 324-1777 today to learn more about Flexible Independent Travel or contact us online.